Japan is known for its beautiful landscapes and flora that are dominated by trees. Unless you’re in the bustling metropolis of Tokyo or another busy city, you’re likely to see very many of them in different sizes, colors, and types wherever you go. So much of Japan’s land is taken up by trees that there is no doubt a deep, culturally rooted connection between the country and these trees. Dive deep and discover the different types of trees in Japan, activities that behold them, how they help the ecosystem, and how Japan’s entire society respects mother nature by preserving, planting, and growing more of these beautiful trees. But before seeing what kinds of trees Japan has, it is imperative to learn why Japan loves trees. Trees consistently improve the aesthetics of any area. Beauty is not the only positive thing that trees bring, they also bring shade, and help remind humans to connect with nature. The color that trees predominantly come in, which is green, bring a sense of calm to those who witness it, helping alleviate stress. Because of the many benefits, it brings, having many trees in property also increases its property value. Many trees make a place cooler, and more comfortable to be in. This is because trees take water in the air and they turn it into air vapor. Having enough trees in an area works better than an entire group of air conditioners. Also, leaves that fall from trees give nutrients to the soil that it lands on. Anything such as pollution, dust, pollen, or smoke also clear and settle better when there are many trees around, as it shelters you from those elements. When it rains, trees prevent intense flooding as they absorb the water, and its leaves also help carry the excess rain. Certain trees work best for specific purposes. Deciduous trees, for example, are great during summer to block out the heat, while still allowing the sun to creep through to keep things bright during winter. Evergreen trees are useful for blocking out the wind from your house, so if you surround it, it keeps temperatures consistent indoors. Plus, carbon monoxide, carbon dioxide, and sulfur dioxide are absorbed by trees, exchanging those gases for oxygen. Trees are a worthy investment for your property, as they are easier to maintain than beds of flowers, and bring a lot of joy to the area you are in. To an individual, it can bring happiness in a variety of ways; from bearing fruit, ushering in scents from its flowers, and simply being a serene view. A community with an area filled with trees makes a good impression on those who visit and possibly attract more growth via tourists and businesses. Trees inspire people to go out more, jog and enjoy nature. 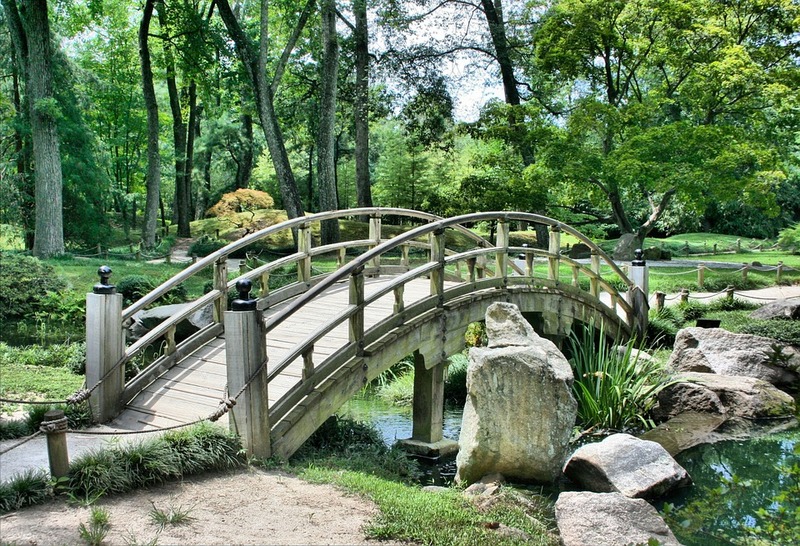 If you ever visit Japan, you’ll know that parks and gardens are a big thing there. They have preserved ancient gardens, many of which are centuries old, to be enjoyed by locals and tourists alike today. Over the years, trees have been cultivated and crossed to create hybrids, while native trees are also continuously planted throughout the country. Generally, there are 3 types of trees in Japan. Evergreen trees, deciduous trees, and trees that flower. Deciduous trees let go of their leaves annually. 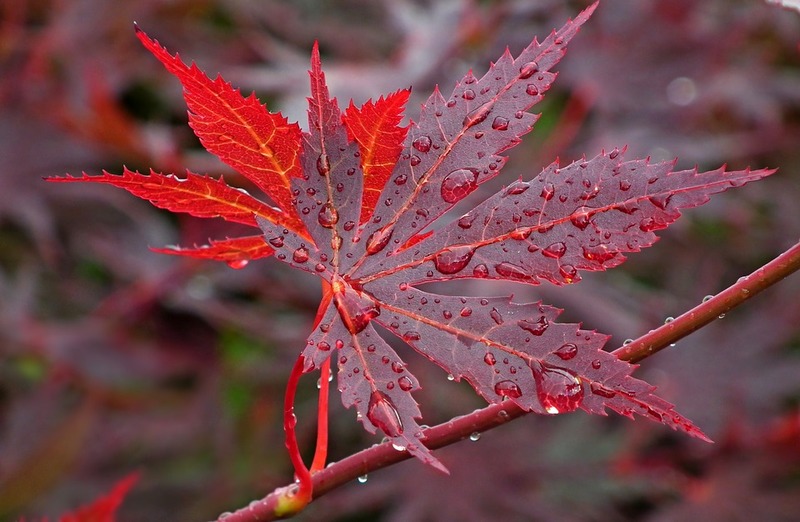 Famous examples of these are the Japanese zelkova or “Zelkova Serrata”, and the Japanese maple, or Acer palmatum. Japanese maple trees are common around Japan, as they turn Smokey colors during the autumn season; namely dark red, brown, and yellow. The can grow to be 25 feet high, while record breakers reach 40 feet high. They do not take well to frosty winds, so these trees thrive when they are amongst other trees, providing communal shade. As for the Japanese zelkova, these trees love direct sunlight. They can reach as high as 80 feet. This is an incredibly hardy tree, and despite being an elm tree, it does not fall ill to the Dutch elm disease, which is usually what targets Ulmus Americana, or American elm. Evergreen trees that you’ll surely see if you visit Japan are the Pinus parviflora, or Japanese white pine, and the Pinus thubergii, or the Japanese black pine. If you visit the coastal regions of Japan, expect to see a lot of the conically-shaped Japanese black pine. It is characterized by its needles colored a darker shade of green, growing alongside an ashy, light gray-brown bark. As the Japanese white pine ages, its canopy flattens. Characterized by its stiff, spindly needles colored with a hint of blue-green, its height ranges from 25 to 50 feet. This tree, along with the Japanese black pine, loves direct sunlight. They are often also used as subjects for bonsai and have been for centuries. Japan is also quite famous for its trees that flower. There are many of these trees, despite the Cherry Blossom or Sakura tree being one of the most famous. The Syringa reticulata or Japanese tree lilac is an example. It doesn’t always take the shape of a tree, sometimes it looks like a shrub. It can reach up to 30 feet in height and spread horizontally to about 15 feet. Summer is signaled when this tree produces white flowers that fill the air with a rich, floral smell, found at the ends of its branches. 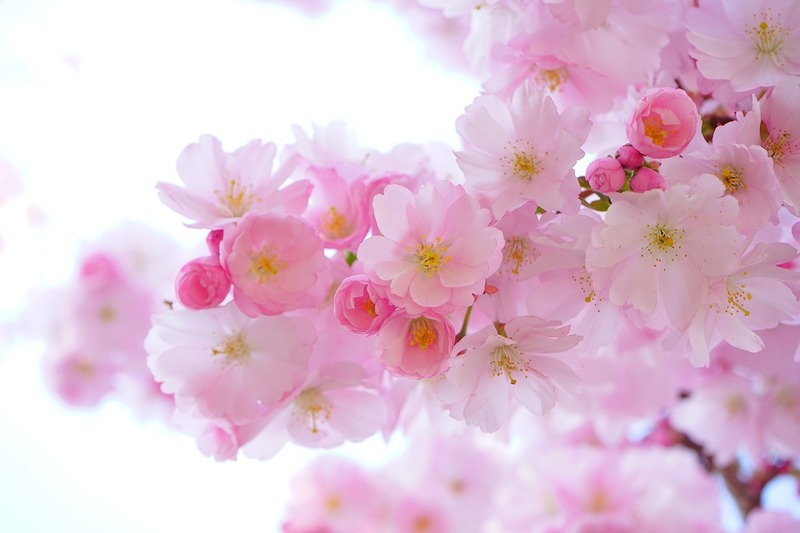 As for the famous cherry trees, you’ll likely see the Prunus serrulata, otherwise known as the Kwanzan variety, but more popularly referred to as the Sakura tree. All flowering trees fall under the Sakura category, and not necessarily a specific species. Another variety of this is the Yoshino or the Prunus x yedoensis. The Kwanzan can reach 25 ft in height, while the Yoshino grows to a hefty 50 ft tall, owning a potentially likewise hefty width of 40 ft.
Why Does Japan Have Such Diverse Tree Life? There are around 135 different variants of Japanese trees, giving the country a diverse collection of them. That is the number that is documented in Wikipedia, but surely there are even more hybrid species. These trees differ from the southern to the northern regions of Japan, as the climate is different in these opposing territories. Japan’s geography also has many different levels of elevation; from mountains that soar up to the sky, to sunny beaches and flat plains. The southern part of Japan has a mix of both cool and subtropical weather, which make for dense forests, while areas such as Hokkaido make for more boreal tree species. Japan’s culture, history, religions, and philosophies (both Buddhist and Shinto) are also very much intertwined with nature, giving trees much more symbolism and meaning than western countries do. Out of the 100+ tree species in Japan, over 15 of those have a purpose or relation to Buddhism or Shintoism. You will see very specific trees around areas dedicated to religion and worship, where they are regarded as more than just a tree. The forest around a Shinto shrine is never exactly left to grow wild, as these have been managed by those who run the shrine for centuries. All in all, Japan has 208,000 hectares worth of forests dedicated to both Buddhism and Shintoism, which makes up about 34,000 forests in total. That adds up to roughly .55% of the entire country of Japan. One tree, whose scientific name is Michelia compressa, is called Ogatama-Noki in Japanese, which means inviting soul. You’ll often see this tree at the entrance of shrines – particularly the gate - because it can beckon the soul of a god (called “kami” in Japanese) to come in. The Cleyra japonica or the Sakaki tree serves as a pioneer purifying tree, thus its presence in different spots that are considered holy. The tree works as a border to that specific holy area, giving birth to the term "Sakai", which eventually evolved to "Sakaki". Now, take the pine tree. In the west, it is simply known as a pine tree, with its scientific name Pinus densiflora, and Pinus thunbergii. In Japan, however, this tree is called “Matsu”. This single word expresses the wait for the soul of a God to come down to earth from heaven. When you look at the qualities of the bamboo tree or the Phyllostachys bambusoides, you see that it is strong and grows very quickly, despite its stem seeming more elastic than other trees with hefty branches and bark. Because of these characteristics, the bamboo plant relates to strength in life (and is known as a “holy tree”) and is planted in paddy fields when farmers pray for good harvest. 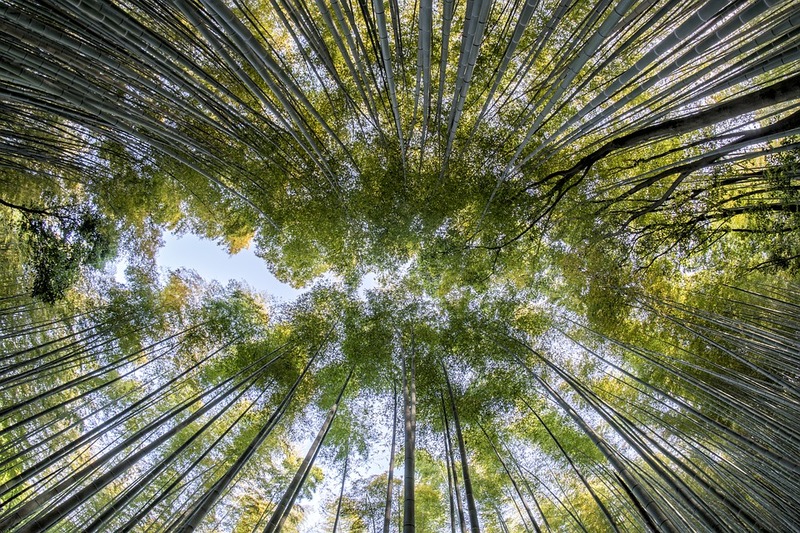 There is an abundance of bamboo in Japan, as there are as many as 500 species of this tree – so don’t be surprised if you find it growing just about anywhere. Ficus religiosa, Tiliaceae, and Shorea robusta trees are the variants you’ll come across if you visit a temple because these trees are dedicated to the memory of Gautama Buddha. Other trees that are linked to Buddha include the Illicium religiosum and Michelia compressa, as these are a part of the Magnoliaceae family. These trees sprout a flower that looks very much like the symbol often associated with the Buddha, which is the water lily. Giant trees are a common sight in Japan, and these trees are venerated and respected so much so because the Japanese believe that trees have a soul. In fact, they have a word for it – “Kodama”, which loosely translate to the echo of the tree’s spirit. Then there’s Hashira, which can mean two things – one being wood that comes from a tree that a kami (Japanese god) dwelled in, or a high-ranking person’s spirit. Found in a UNESCO World Heritage Site, the Jomon Sugi – written as “縄文杉” in Japanese, is a 2,170 to a 7200-year-old tree. Its scientific name is Cryptomeria japonica. It is called the Jomon Sugi because “Jomon” is the period that refers to Japan’s prehistorical phase, which is how old this tree has reached. To visit this tree, you’ll have to go to the Yakushima, an island among the Osumi islands found in the Kagoshima Prefecture. Hike up the northern part of Miyanoura-dake, which is the highest peak of the entire island. It’s 1,934 meters high up and was found only in 1968. When it was discovered, people were inspired to preserve and protect the environment of Yakushima, which today draws most of the tourists to that area.